To address concerns that students and faculty had regarding campus safety and to make campus populace aware of the policies in place to handle cases of sexual assault and harassment, the Office of Students Affairs and Enrollment Management hosted a forum in the Clark Student Center Comanche Suites on March 19. 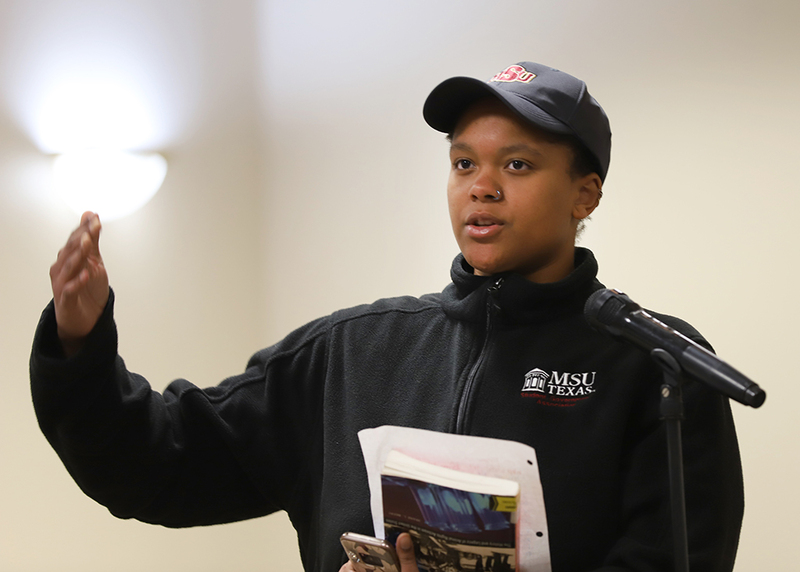 With various media posted with the hashtag “complicitMSU,” and results from surveys indicating sexist work environments, the subject of sexual harassment and assault has been in discussion on campus. Around 150 people were in attendance at the event, which began with opening remarks from Keith Lamb, vice president of student affairs and enrollment management, regarding the new campus climate survey to take place, Matthew Park, associate vice president of student affairs and enrollment management and dean of students, talking about Title IX and Patrick Coggins, chief of police, discussing the Clery Act. 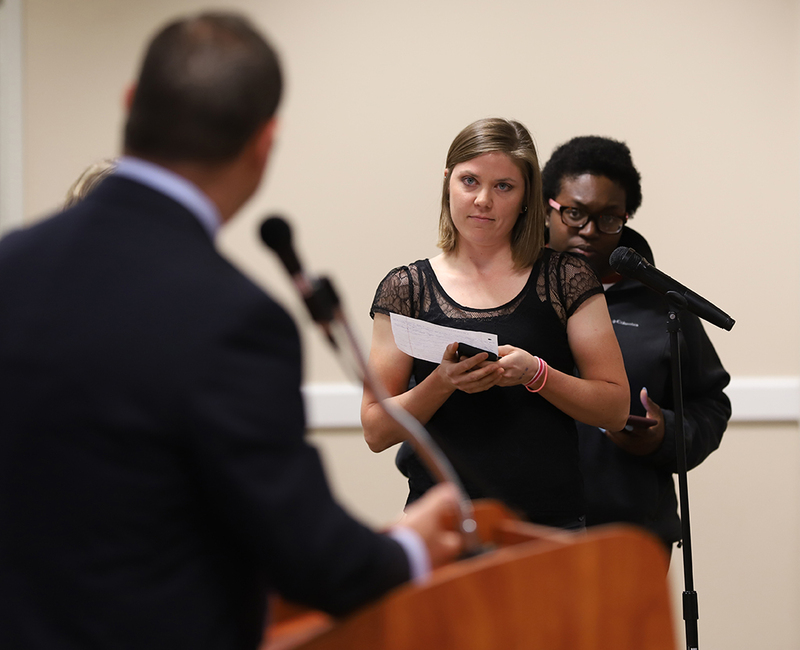 After the opening remarks, those in attendance were allowed to ask administrators questions. Greene said she hopes students received the answers they were looking for and they are made aware of the resources on campus. “It is hard to say what the impact is. Hopefully students got more answers than questions, but hopefully students left here with knowing that there is an open invitation for them to be part of the solution because there are folks who live here each and every day. 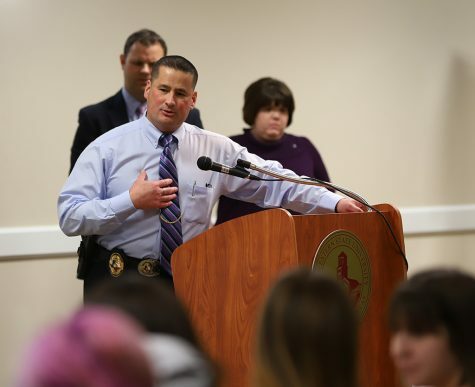 And for us as professionals, we don’t live here every single day so it’s going to take a campus wide effort for us and everyone has to be part and see there part in improving campus security,” Greene said. According to Greene, her experience as both a student and faculty have made it to where she can see both perspectives. Jamilah Kangudja, exercise physiology sophomore, said she attended the event because she wanted to use her position as a resident assistant to be the voice for other students. I’m an RA and I have residents who have experienced things and they can’t speak up for it so why can’t I be the voice for them? As a person who has been sexually harassed on this campus, why can’t I be a voice? I didn’t speak up then and I feel so guilty about it now because I’m sure there are so many people who have more than likely been harassed by this same person, who is still roaming around freely on this campus so that’s why I feel like today Ishould’ve came,” Kangudja said. Kangudja said she feels administrators did not listen to students because it’s not an issue that’s important to address right now. I think they listened, but I don’t think they cared in the sense that they don’t feel like it’s an issue. They have to address it right now, but over the years this is an issue that they can address. This is something that isn’t immediate. They didn’t treat the situation in the way that it should’ve been treated,” Kangudja said. One of the concerns raised at the forum was whether RAs should be able to know who has contact orders. As an RA, Kangudja said she feels it is her job to provide safety and security to students and should be made aware of that knowledge. Gabriella Solis, psychology junior, said she attended the forum because she experienced sexual assault on campus and the administration didn’t help her when she reported the incident. I saw the [#complicitMSU] posters in Prothro-Yeager and I thought they were right and I wanted answers and wanted to know how administrators would respond to those allegations,” Solis said. According to Solis, there are power dynamics to sexual assault and those in power do not have to worry about assault. Solis said she felt although administrators were answering the questions of the students, they were not being serious about the issues. Toward the beginning of the forum, Park made a comment jokingly hoping that no sexual assault cases occurred over the recent spring break. Solis said she did not think the joke was funny and inappropriate. “As the Title IX coordinator, that’s not one of those jokes that should come out of mouth. The way he walked up there and nonchalantly said, ‘Well I hope that there’s no more reports or allegations after this spring break,'” Solis said. Park said he realized the comment was insensitive and hopes the comment does not to deter anyone from reporting sexual misconduct in the future. “I do apologize for the comment regarding any acts of sexual misconduct over spring break. That was not my intent whatsoever and I sincerely hope that that comment does not ever prevent or inhibit any individual who has experienced or been made aware of information pertaining to sexual violence to not come forward in a comfortable manner,” Park said. Solis said she is disappointed in administrators and the campus law enforcement and she no longer trusts them as whole. The students aren’t the primary priority. The parking tickets are the priority, people off campus and the community surrounding us is the priority. And you can’t trust people that you’re suppose to trust,” Solis said. Solis said she felt that the forum was more coordinated and more beneficial for the administration to fix their reputation rather than an opportunity to listen to the students’ questions and concerns. Within the last five minutes of the forum, students rushed out of the room crying with red infuriated faces. They [administrators] used their prefabricated answers and they didn’t listen to the voices that were speaking out, they didn’t listen to the voiceless because that’s what we are,” Solis said. Additional reporting by Latoya Fondren and Alyssa Mitchell.